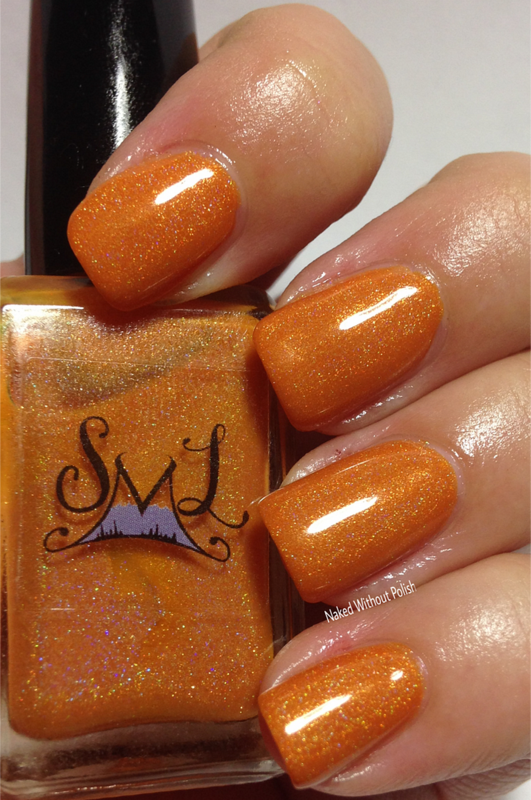 Sizzlin' Summer is described as "a multichrome that shifts between red, yellow, orange, and mauve". 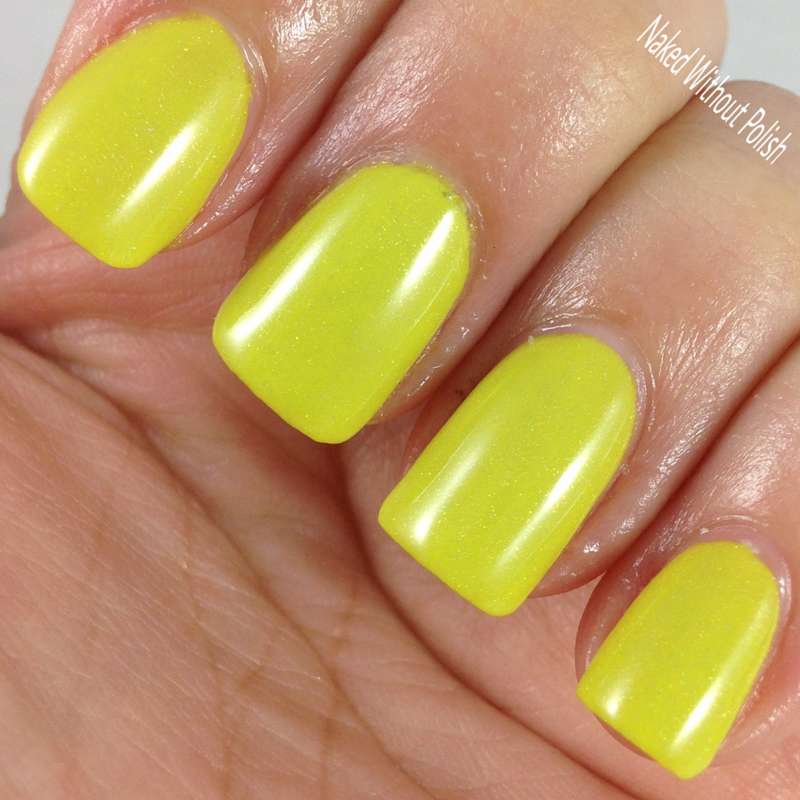 Shown is three coats of Sizzlin' Summer with top coat. 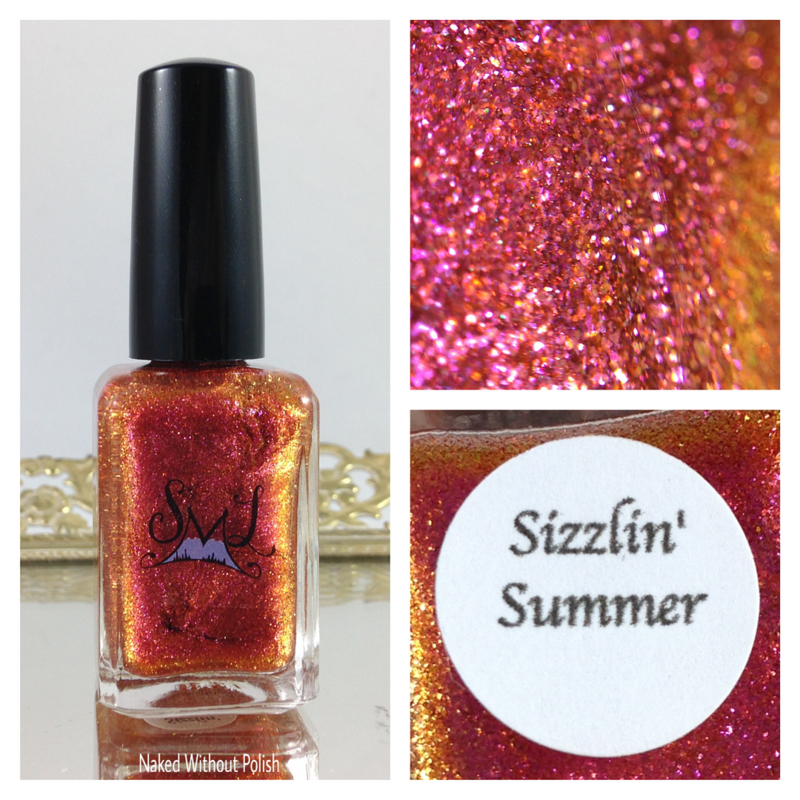 Sizzlin' Summer is like a sunset in a bottle! The color shift is incredible! Smooth application, but definitely need 2-3 coats to get full coverage. 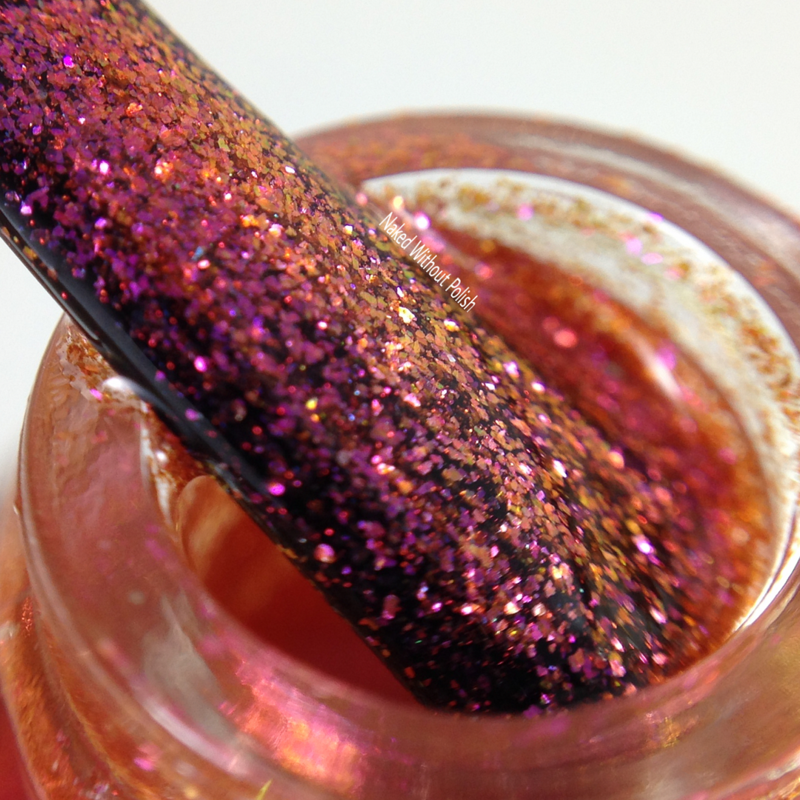 The coats aren't thick, this polish is full of flakies that work together to give it an almost metallic feel. I'm kind of ashamed I didn't attempt to use show it off as a possible topper. 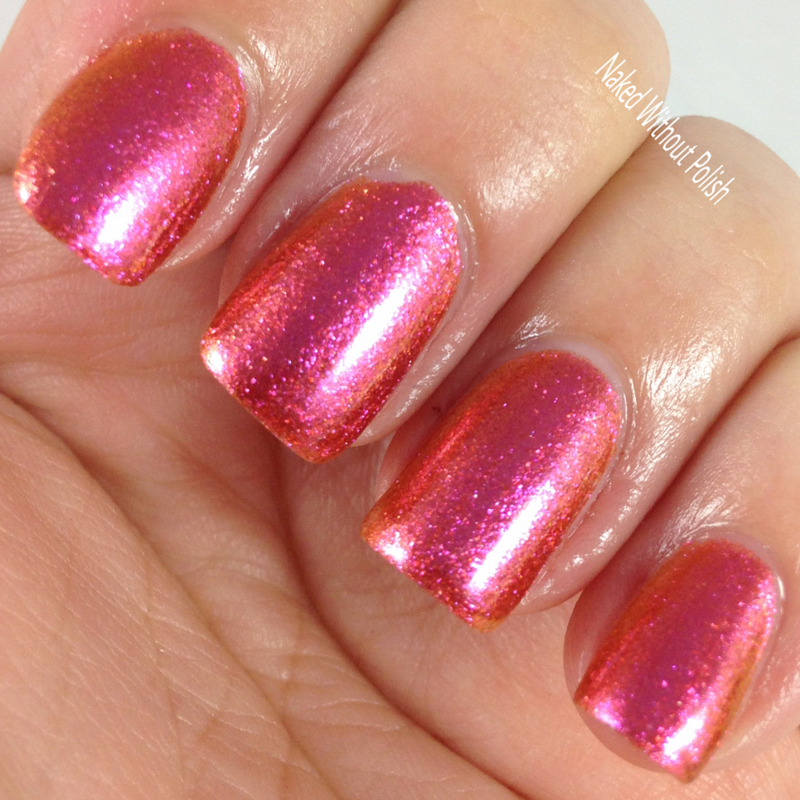 It's a Shore Thing is described as "a medium pink linear holo". Shown is two coats of It's a Shore Thing with top coat. It's a Shore Thing is such a fun shade of pink. Not quite as bright as bubblegum, and not quite as muted as cotton candy...almost the perfect shade of carnation pink. An incredible formula and smooth application. Her brushes are great and easy to manipulate over the nail you will rarely need to do clean up. 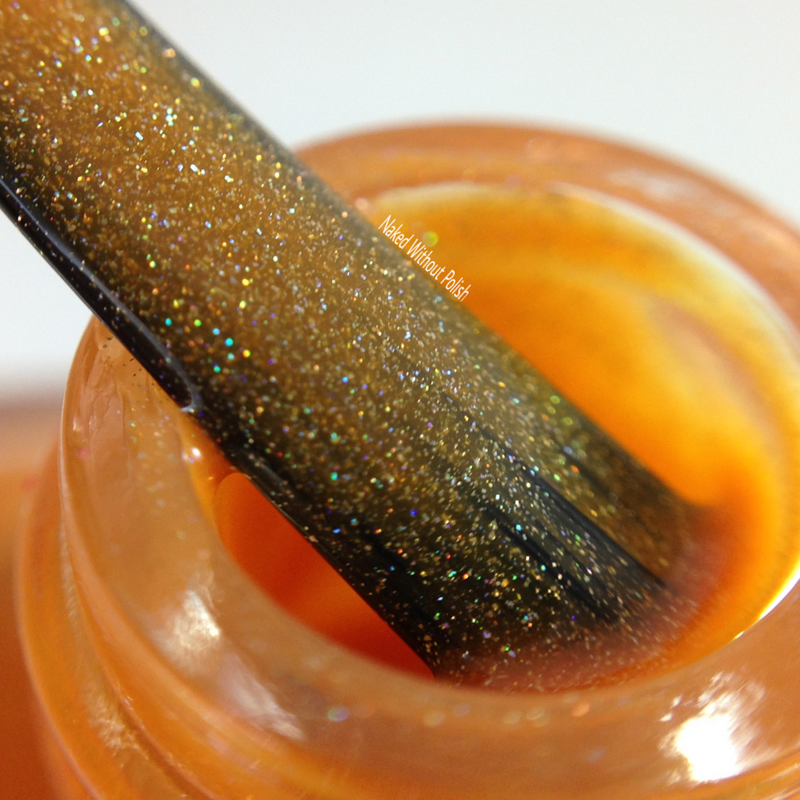 Sun Kissed is described as "an orange linear holo". Shown is two coats of Sun Kissed with top coat. Sun Kissed is the perfect shade of orange for any skin tone. Incredible formula and great application. 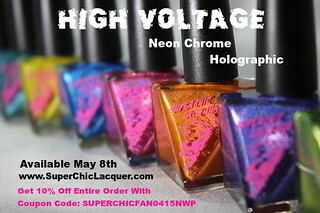 I may not be a beach person, but I have a feeling this polish will be on my toes a lot this summer!! 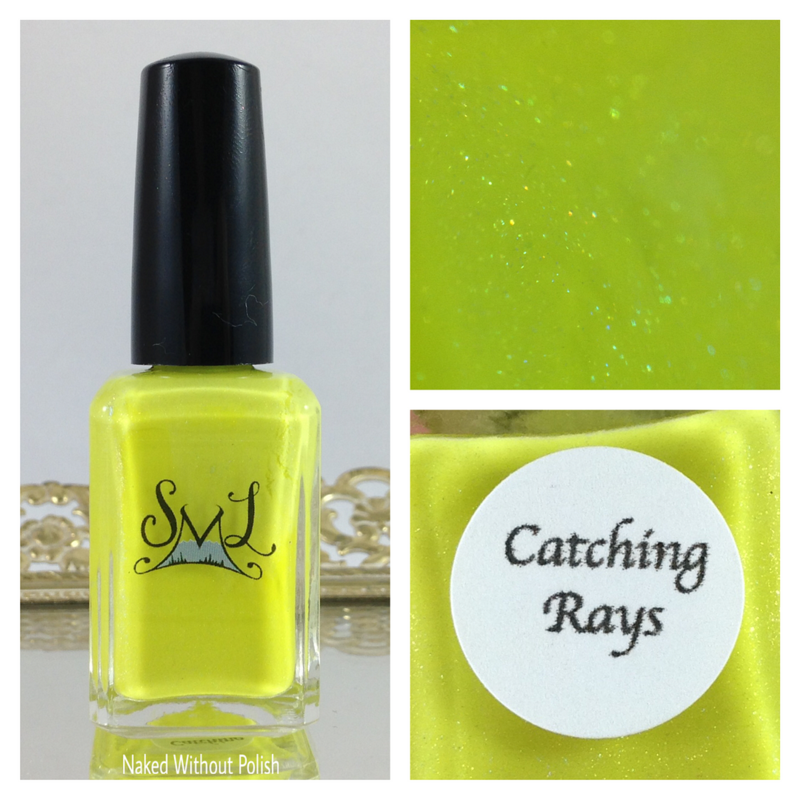 Catching Rays is described as "a yellow linear holo". Shown is two coats of Catching Rays with top coat. Catching Rays was one that caught me off guard. I don't normally find myself loving yellows. This one seemed to grab me by the shoulders and shake me to make sure I noticed it. 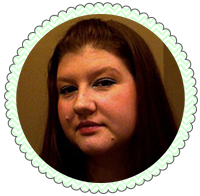 It does have some spring green undertones, but this color is beautiful! 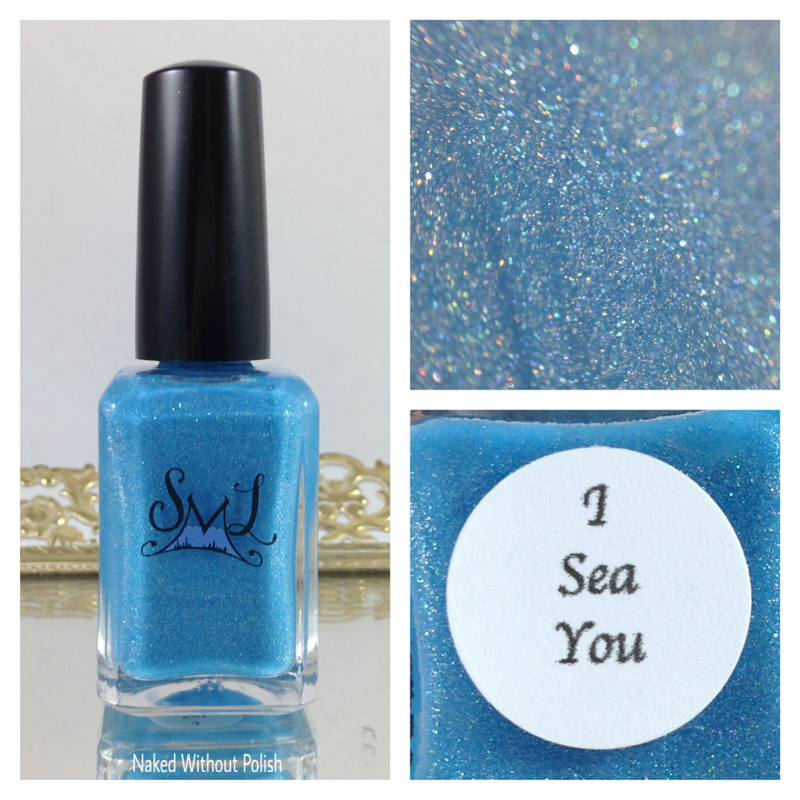 I Sea You is described as "a light blue linear holo with blue frost micro glitter". Shown is two coats of I Sea You with top coat. I Sea You applies smooth and flawlessly. 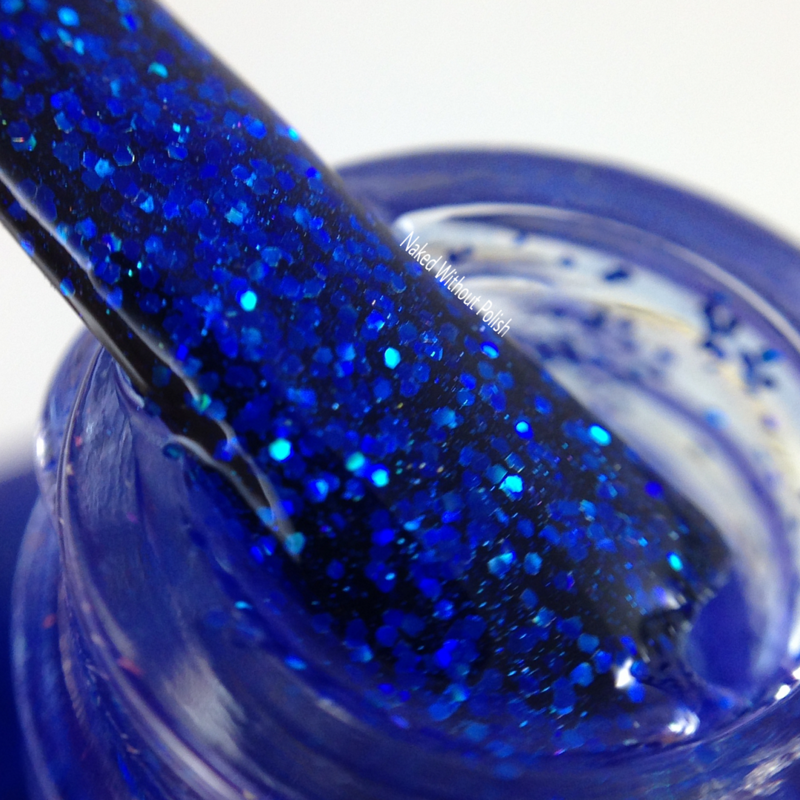 The added frost micro glitter adds the perfect something extra to this polish. A great shade of blue for any beach lover or even for those with an icy disposition. Mermaid Kisses is described as "a royal blue jelly filled with sapphire galaxy holo glitter". 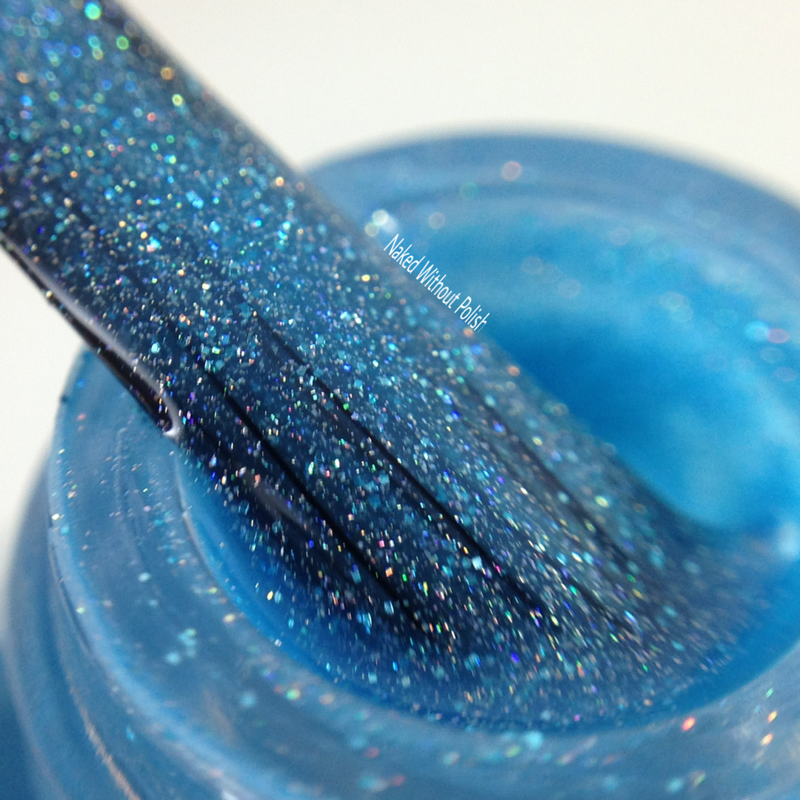 Shown is three coats of Mermaid Kisses with top coat. Mermaid Kisses was a surprising favorite! Yes, it took three coats to get full coverage, but that never bothered me any. 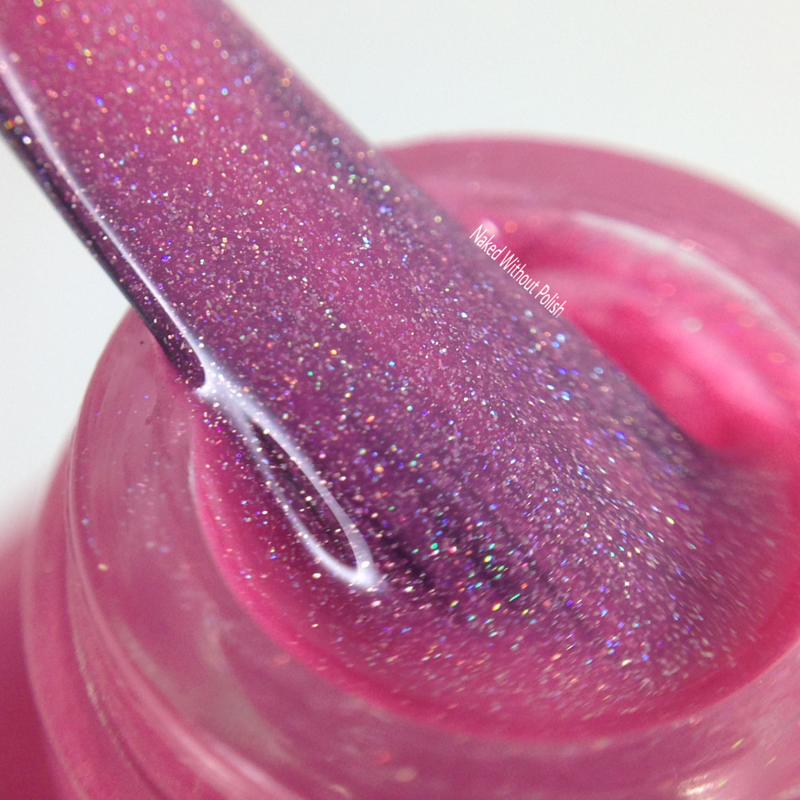 The jelly is perfectly squishy, and the glitter is wonderfully sparkly. 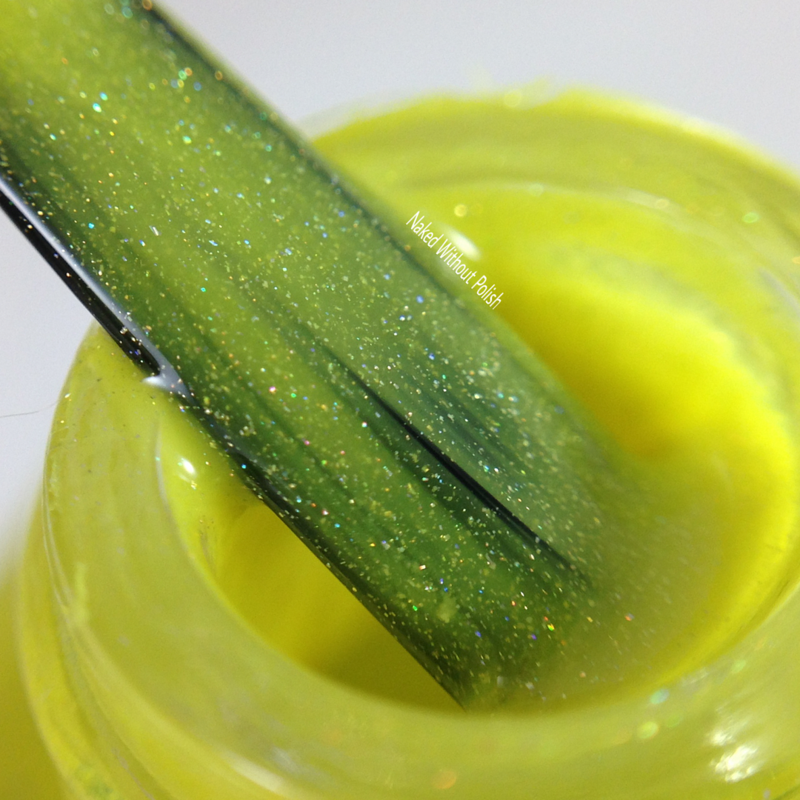 I'd love to see someone do a pond mani with stamping or use it as the base for some nail art! 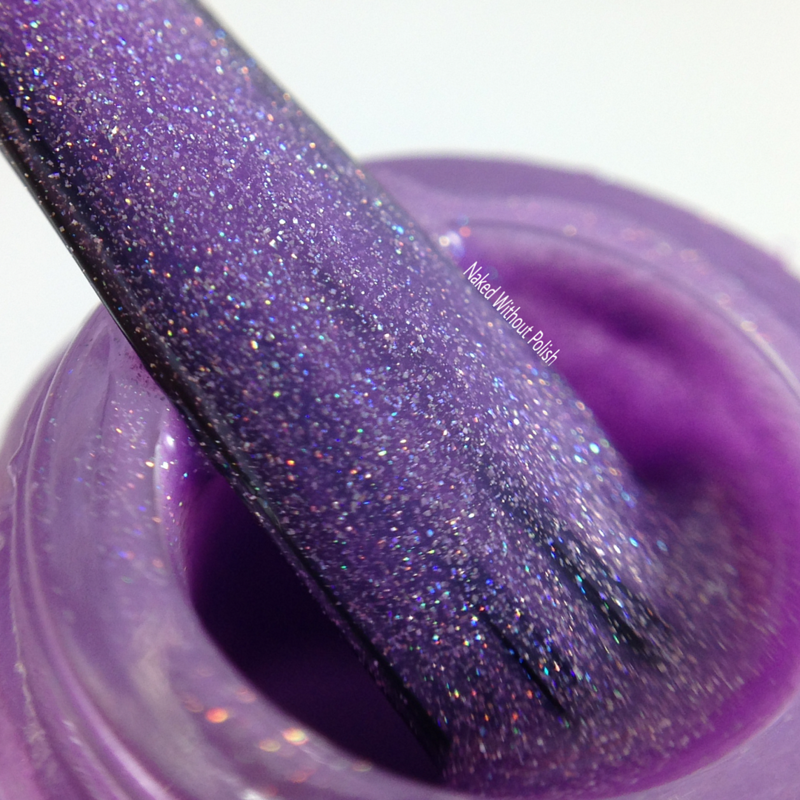 Beach Baby is described as "a medium purple linear holo". Shown is two coats of Beach Baby with top coat. Beach Baby had the same beautiful formula and application as the others. 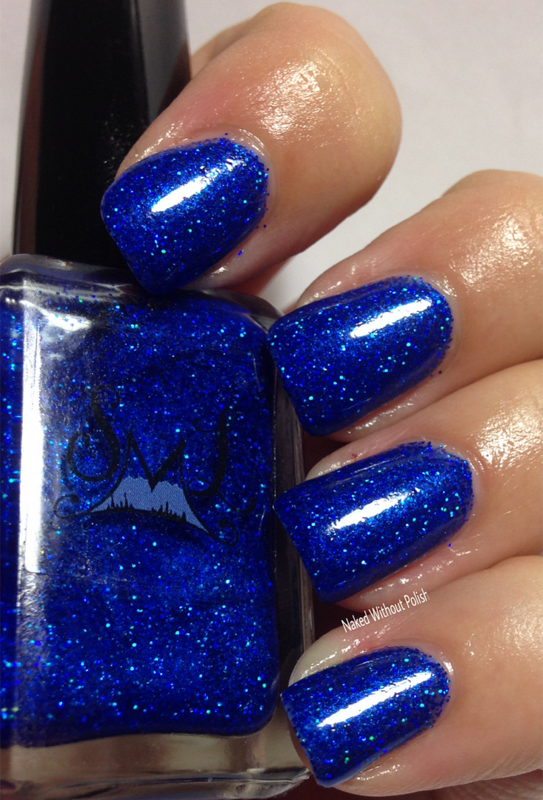 She says she didn't add any blue shimmer, but I captured some gorgeous flashes of blue in this beauty. A stunning purple! 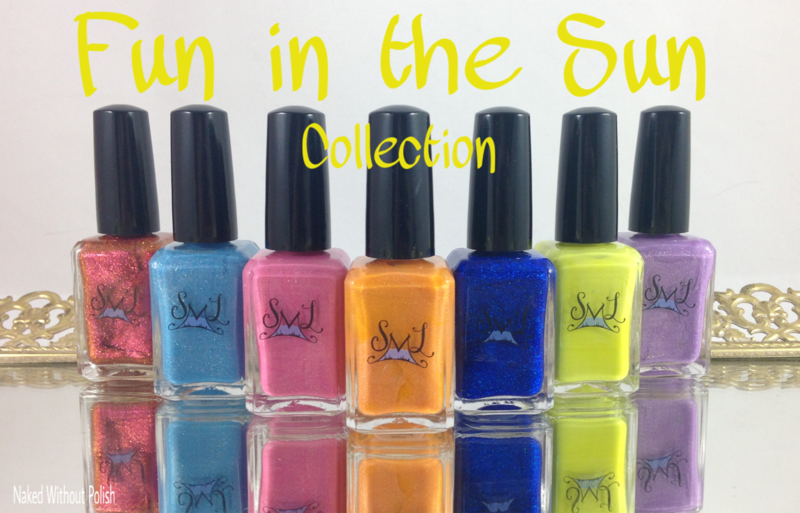 Smokey Mountain Lacquer will be releasing the Fun in the Sun Collection on Friday, May 27th at 7 pm EST. The full collection will be available in minis for $40 and in full size for $61.14. 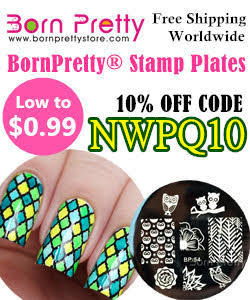 They will also be available individually for $6 for minis or $8.99 - $9.99 for full size. Make sure you are following Smokey Mountain Lacquer on all of her social media platforms (links below) to stay updated on news, releases, and sales. What do you think of the Fun in the Sun Collection? Did you have any favorites? What will you be getting from the release?